Passengers flying into, or out of, the Lansing airport in the dark might notice a pink glow coming from the south side of the Michigan State University campus. The high pressure sodium (HPS) lights in the teaching greenhouses have been mostly replaced with LED lighting modules. Why pink, and not bright white? It’s all about the usable light spectrum that plants need. 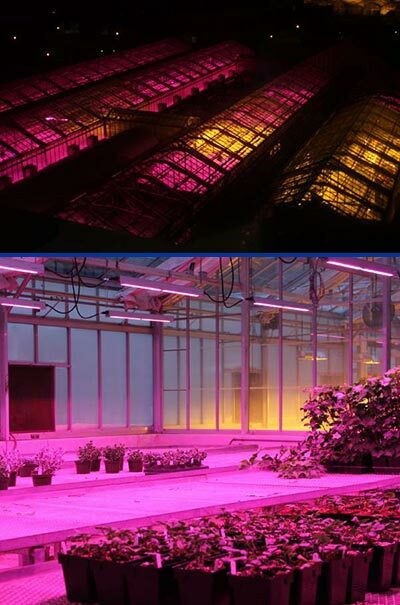 Plants actually do best with the red and blue light, which appears pink when mixed. Plants reflect green light waves, which is why plants are green. MSU has purchased green-lensed glasses to counter the effects of the pinkish light on eyes. With the green “sunglasses,” things appear normal under the new lights. Reportedly, the electricity usage will be reduced by up to 50% compared to the old fixtures. The old fixtures also cast quite a large shadow over the plants during the day. The new LED’s are very narrow and barely noticeable above the benches. for the teaching greenhouses. In the two houses that Dr. Lopez will be using for his class, the HPS lights were kept in half of each house so he will be able to demonstrate the effects of light type on plant growth to his students. lighting technology and impress your fellow passengers. The Michigan Department of Natural Resources and the Garden Club of Michigan will host two public meetings November 14 and November 28 to gather public input on a proposed garden in Detroit’s Belle Isle Park. 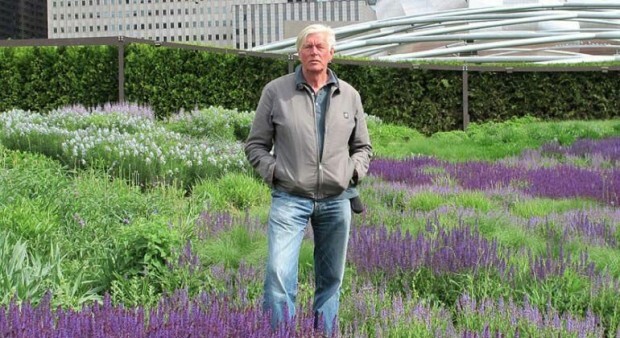 The garden will be designed by internationally renowned garden designer Piet Oudolf. Oudolf’s acclaimed gardens include the Lurie Garden in Chicago and the Highline in New York City, among scores of gardens around the world. He is one of today’s premier garden designers for public landscapes and is a leading figure of the “New Perennial” movement that is characterized by utilizing herbaceous perennials and grasses. His garden designs are artistic, ecologically inspired, accessible, welcoming, and enjoyed year-round. After touring Detroit with the Garden Club of Michigan this past spring, Oudolf selected Belle Isle Park as the proposed site for one of his acclaimed garden designs. The site, located near the Nancy Brown Peace Carillon Tower between the Remick Band Shell and the Anna Scripps Whitcomb Conservatory, will be a connector in the cultural heart of the park. 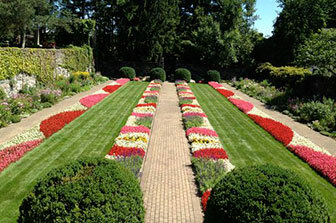 It also will help revitalize the island and attract garden lovers from near and far. The proposed garden will be paid for through donations and fundraising that will cover all the design, installation and maintenance costs. At the open houses, participants will view a short video of Oudolf discussing his vision for the garden and providing insight into the preferred site location. He also will respond to a few questions submitted by the public ahead of time. Both open houses will take place at the Flynn Pavilion (4435 Muse Road, Belle Isle Park, Detroit). First open house: Tuesday, November 14, 6 to 8 p.m.
Second open house: Tuesday, November 28, 3 to 5 p.m. Will address questions that arise from the first open house. The Michigan Department of Natural Resources recently announced that Japanese stiltgrass, an invasive plant originating in Asia, recently has been positively identified on private property in Scio Township, near Ann Arbor in Washtenaw County. This identification, confirmed by the University of Michigan Herbarium, is the first detection of this species in Michigan. Japanese stiltgrass (Microstegium vimineum) has been on Michigan’s invasive species watch list since 2015 due to the grass’s presence in nearby states, including Indiana, Illinois and Ohio. The species is believed to have arrived in the U.S. from Asia in the early 20th century, when it was used as a packing material for fine china. It is now widely distributed along the East Coast and in southern states. 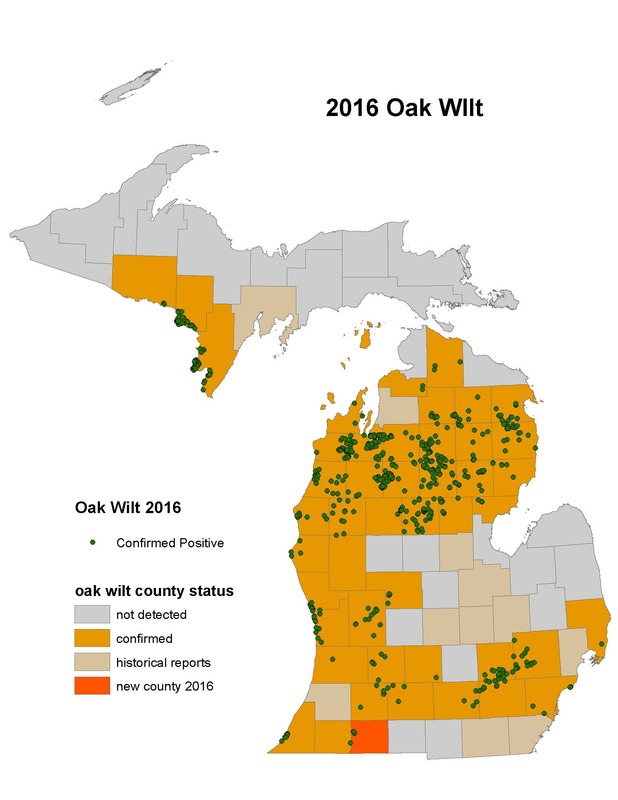 The DNR is collaborating with The Stewardship Network, a nonprofit conservation group based in Ann Arbor, and other partners to identify the extent of the infestation. To date, small “satellite” populations have been located on the original property and a nearby site. 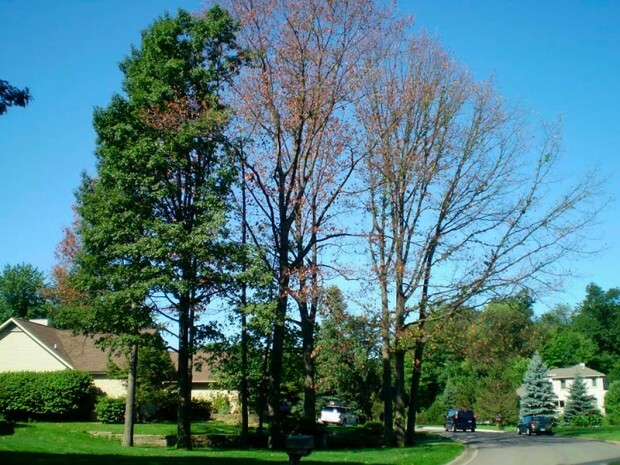 The primary infestation was treated with herbicide, and plant material was burned. The small patches of grass at the satellite locations were removed by hand and disposed of. 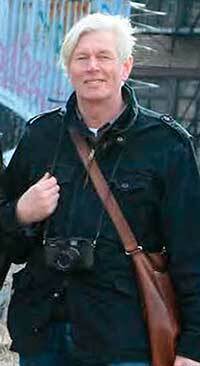 The DNR is asking anyone to be on the lookout for Japanese stiltgrass and to report the location and photos of any suspected findings to Greg Norwood at norwoodg@michigan.gov. 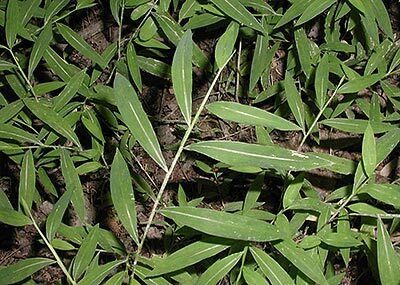 • A thin, bamboo-like grass with jointed stems and well-spaced leaves. • Smooth green leaves 2 to 3 inches long and one-half inch wide, tapering to points at both ends, often with an off-center silver stripe or mid-rib. • 1- to 3-foot-high beds of grass, with some stems running across the ground and others shooting upright. • Roots, both at the base and stem joints, that are weakly attached to the soil and easy to pull up. • One to three slender, green flower spikes at the stem tips, appearing in August or September. There are a few common plants in Michigan that easily may be mistaken for Japanese stiltgrass. More information about invasive species, including identification information for Japanese stiltgrass, can be found at www.michigan.gov/invasivespecies. Scientists inquire: Will the eclipse make crops and animals flip out? On Aug. 21, a 70-mile-wide ribbon from Oregon to South Carolina called the “path of totality” will experience a total solar eclipse. Large swaths of farmland in the Great Plains and Midwest will be plunged into darkness for 2 1/2 minutes, and temperatures will drop about 10 degrees in the middle of the day. But as millions of people look up at the sky, many Midwest scientists will turn their eyes and cameras toward the plants and animals on the ground. And they’re not sure what will happen. “It’s never really been studied systematically,” says Angela Speck, director of astronomy at the University of Missouri, Columbia. Speck says different parts of the Earth experience a total eclipse about once a year, and that makes tracking changes in animal and plant behavior challenging. This spring has been strange in Oregon’s Lane County. “It rained every day. I’m exaggerating, but only by two days,” says farmer Jason Hunton. “We’re struggling. We’ve got a couple of [organic] fields that have some real thistle problems. I want to get some tarps and solarize it — cover it up and see if we can get that to cook itself in some of the thicker areas,” Hunton says. Several fields down the road, a tine weeder runs through one of Hunton’s organic wheat crops. It’s like a giant comb, scraping up weeds and bits of wheat along with it. This is the third time this year that Hunton has tine-weeded this field. It’s an all-day job. In his conventional wheat fields, he can spray once and be done with it. 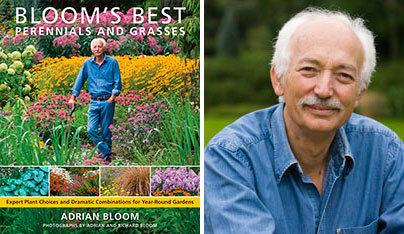 Widely-acclaimed British gardener Adrian Bloom will speak on “Designing Drama in the Year-Round Garden: Making the Most of Trees, Shrubs, Conifers, Perennials, Grasses, Ferns and Bulbs.” Adrian is the former president of the legendary Blooms of Bressingham nursery in England, which was founded in 1926 and has introduced over 200 perennial cultivars since then. He is the developer of Britain’s superb Foggy Bottom garden, television personality, author and world traveler in the service of horticulture. In addition to his illustrated presentation, he will autograph your copy(ies) of his books and pose for photos. Thursday, July 13, 2017: 6:30-8:30 pm. At the Dearborn Inn, Alexandria Ballroom, 20301 Oakwood Boulevard, Dearborn, MI 48124. Walk-in registrations are welcome ($45) and include admission, book signing, and lecture. This week, the prestigious journal Science reveals results from the biggest field study ever conducted of bees and neonics, which are usually coated on seeds, like corn and soybean seeds, before planting. Scientists monitored honeybees and two types of wild bees at 33 sites across Europe, in the United Kingdom, Germany and Hungary. At each site, the bees were placed near large fields of canola. Some of the fields contained canola grown from seeds that were treated with neonicotinoid pesticides, along with a standard fungicide. Other fields were planted with canola treated only with fungicides.